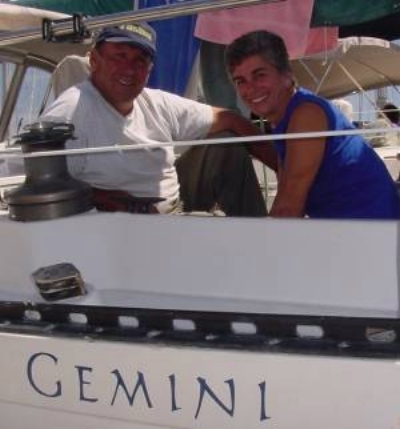 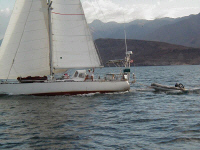 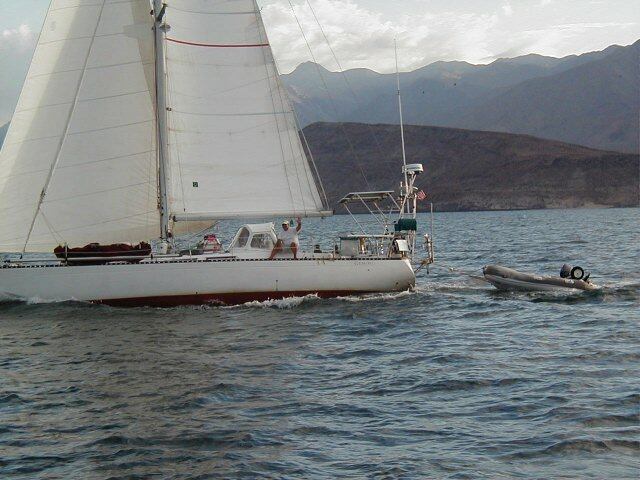 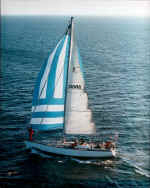 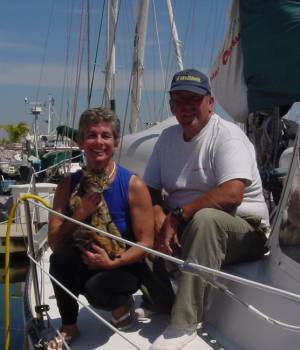 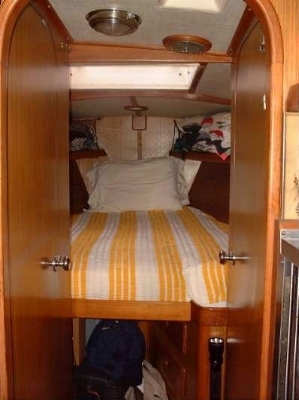 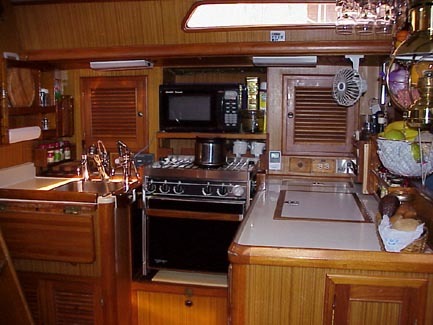 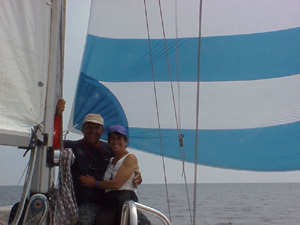 Gemini is a 42-foot sailboat designed by Kaufmann-Ladd and built by Albin boatyards in 1982. Gemini glides on the wind outside & is oh, so comfortable inside. 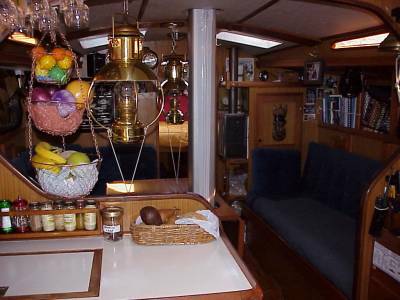 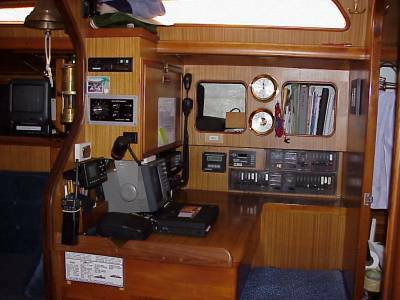 A view of the nav station (left) and the salon (center) as seen from the galley--a very important part of our lives on the water. 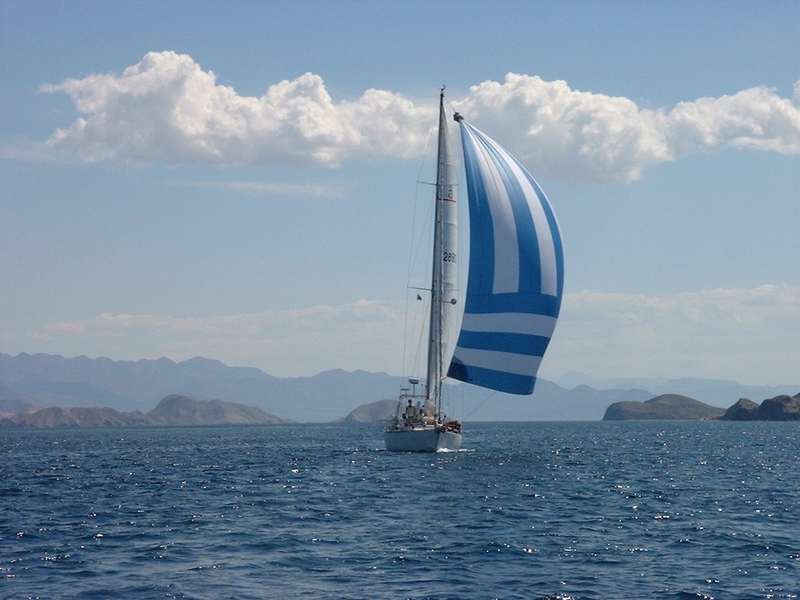 Click here for more about our galley! 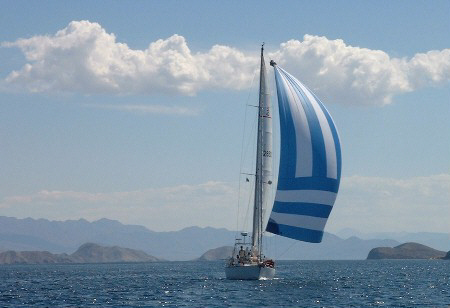 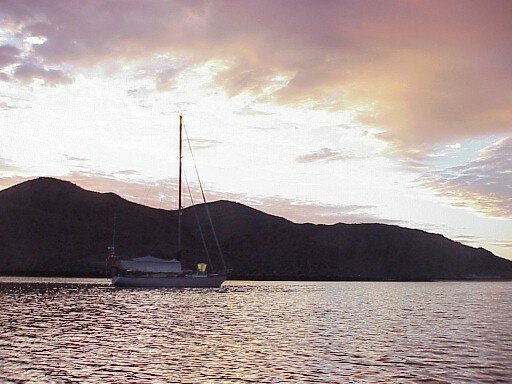 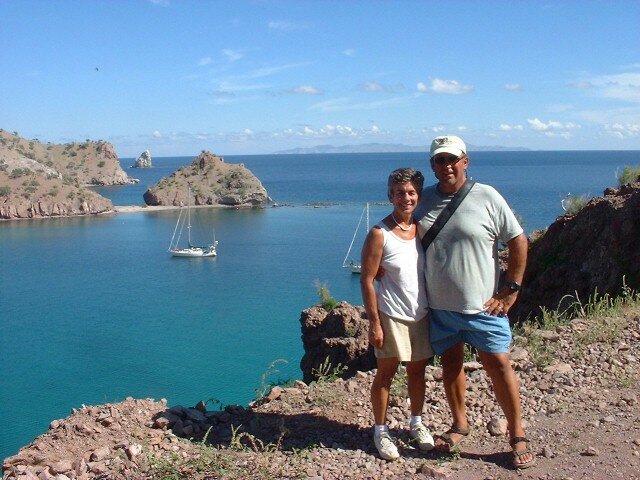 At anchor: the only place to be!